It doesn't seem fear, does it? That a small country along the Caribbean coast of Central America is home the largest Barrier Reef in the western hemisphere, not to mention three of the four hemisphere's true atolls, Faro reefs, Whale Sharks, The Great Blue Hole and more corals and marine life than you can name. Join us on a Belize dive or snorkeler and let our experience PADI professionals and guide show you the best Belize has to offer. 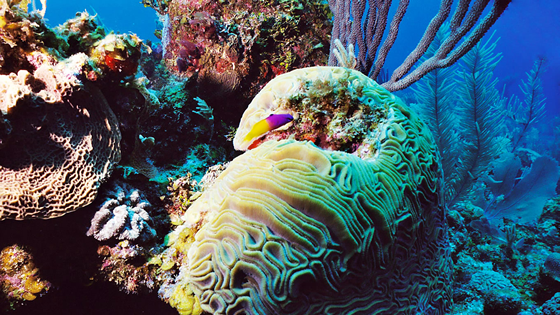 Placencia is the perfect place to experience the best of Belize scuba diving and Snorkeling. Down here, the mainland pulls away from the Barrier Reef creating an Inner-lagoon sprinkled with hundreds of Cayes (small islands), coral reefs, and miniature atolls. Although its several miles away, the Barrier Reef is still easily accessible, offering some of the best wall and canyon dives in the country. Many of Belize's Atolls are accessible from here as well, Glover's Reef Atoll which is known for its pristine coral's an abundance of marine life and Lighthouse Reef Atoll which is Famously known for the Great Blue Hole. 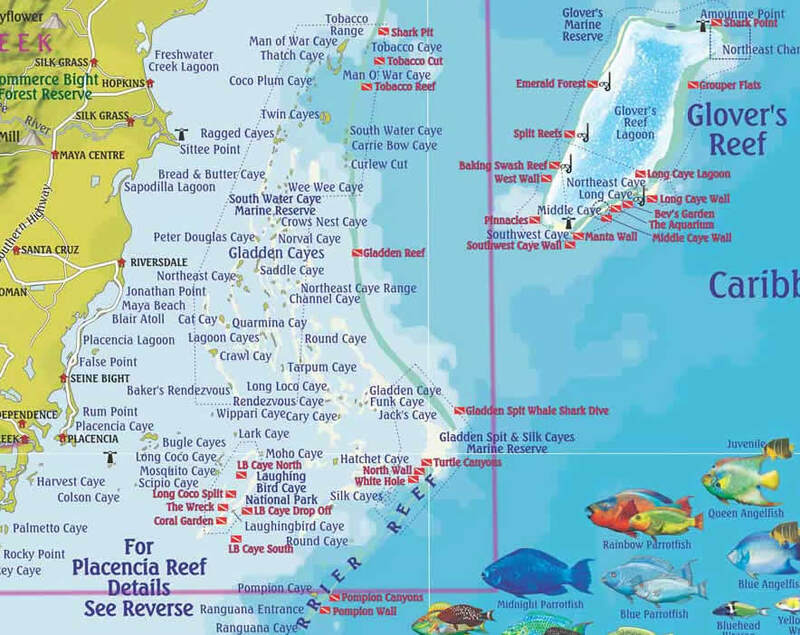 Also, just about 30 miles from Placencia is the Gladden Split Marine Reserve, which is a spawning ground for many different species of fish and a hotpot for Whale Shark Encounters. Although fishing of any kind is not allowed while scuba diving, we are permitted to spear Lionfish. This species aggressive tendencies and a large appetite for juvenile fishes makes them hazardous to our reefs. Because they are not native to our waters and have very few predictors, we spear them to keep their population in check. 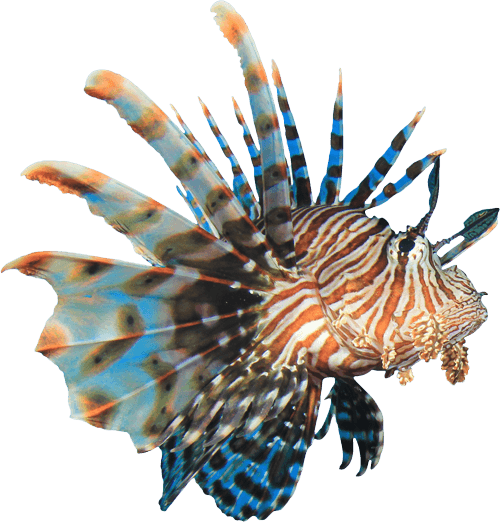 We provide tridents for divers who like to help us with the Lionfish. Have you ever dream of discovering what wonders awaits you under the surface of the sea? If you want to try scuba diving, but don't have the time or not quite ready to take the the full certification course, Discover Scuba Diving is for you. The course only last a day and will have you exploring a fascinating underwater world in no time! 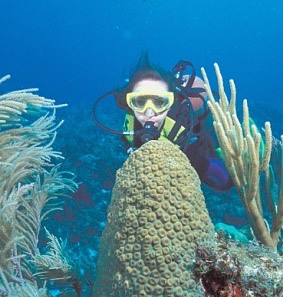 Let our experience guides take you to all the best diving and snorkel spot in Placencia, Belize. 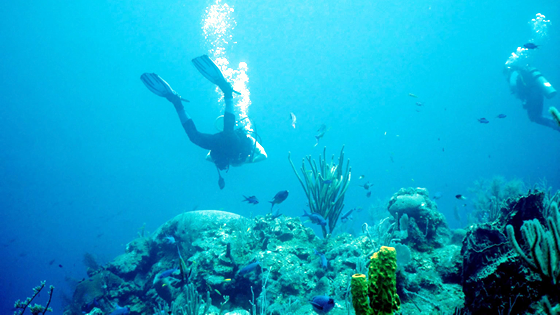 The Belize barrier reef offer a wide range of diving and snorkeling, from shallow reef to the Great Blue Hole. Many of our dive destination offer a wide range of sites varying from novice to expert. Explore the largest ocean sinkhole in the world. Made famous by Cousteau/Calypso investigation in the 1970’s, it is the only blue hole that can be plainly seen from outer space. Join us for a magnificent Whale Shark adventure! Every year after the full moon in March-June, whale sharks congregate at Gladden Split . 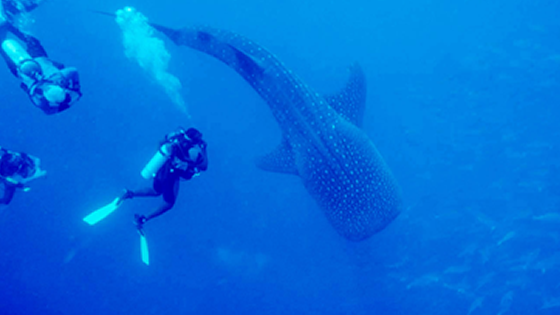 This give a unique opportunity for diver and snorkelers alike to swim with the largest fish in the ocean. 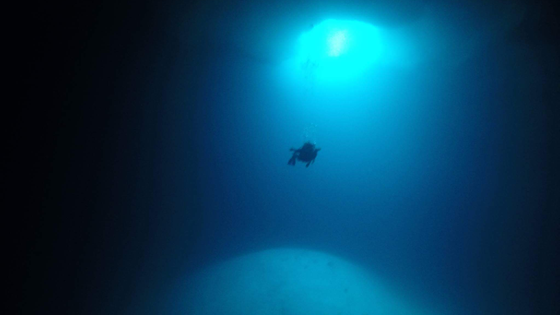 These dives may include Wall, Canyon dives and Faro dive. These dives are done one the Barrier Reef or the Inner Lagoon each with their own characteristics. Dive sites are generally determined by group interest and weather conditions of the day. 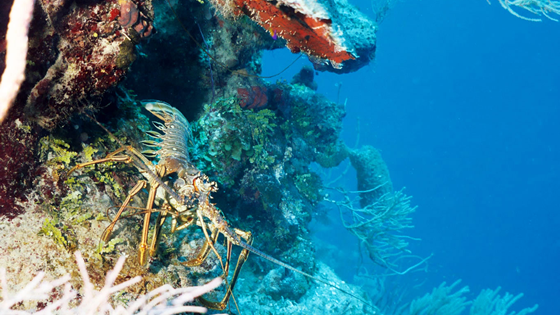 Dive and Snorkel Belize's southern most atoll. This United Nations World Heritage offers stunning coral formations and wide abundance marine life. Located about 30 miles north of Placencia. It is well know for off-the-beaten-reef diving and snorkeling. You can expect to find more pristine reefs and coral, as well as numerous spotted eagle rays and southern sting rays. 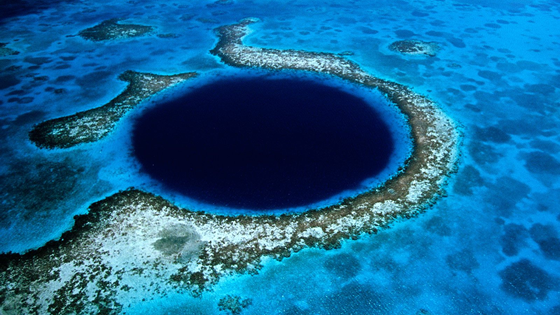 This tiny sink hole is located inside the barrier reef about 70 miles from Placencia. Named from the sharks that are sometimes found circling the sand mount at the middle of the cave, this dive offer a similar dive to that of the Great Blue Hole.